Armed with a Chandler & Price 12×18, Alissa Bell flexes her creative muscles by balancing both business sense and creative aspirations. 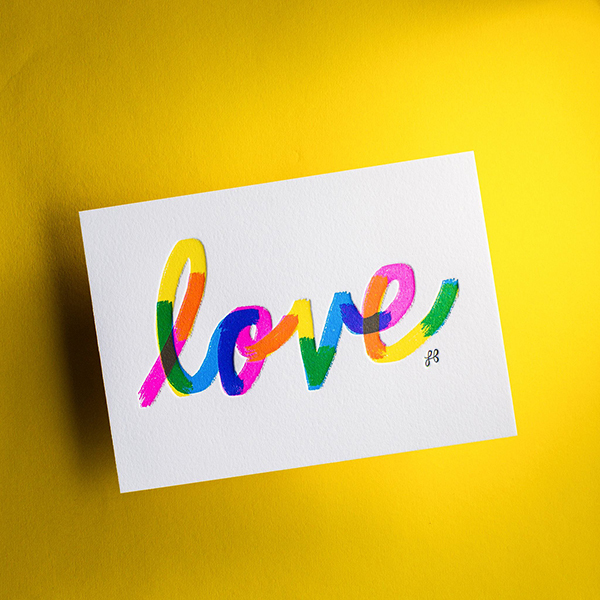 The cheery, go get-em gal has been in love with letterpress since she took her first class at the San Francisco Center for the Book, and has flourished as the Artist in Residence at the Kit and Ace Pasadena store, an iconic staple of creativity in Los Angeles. 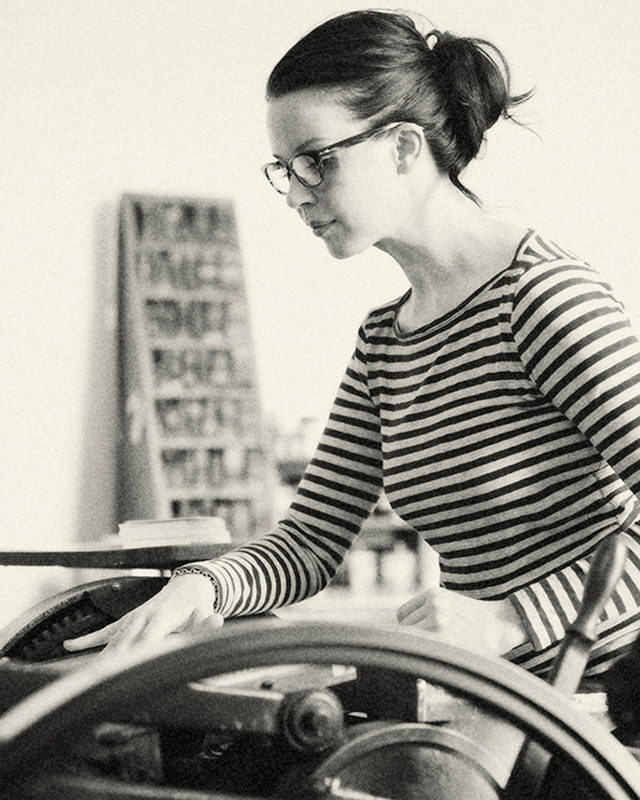 We caught up with Alissa between ink runs to catch up on her beautiful letterpress greeting card line and how her children are growing up with letterpress all around them. CREATING BALANCE WITH LETTERPRESS I run a letterpress and design studio in Los Angeles with two girls, Hanna and Audra, and my dog Henry. 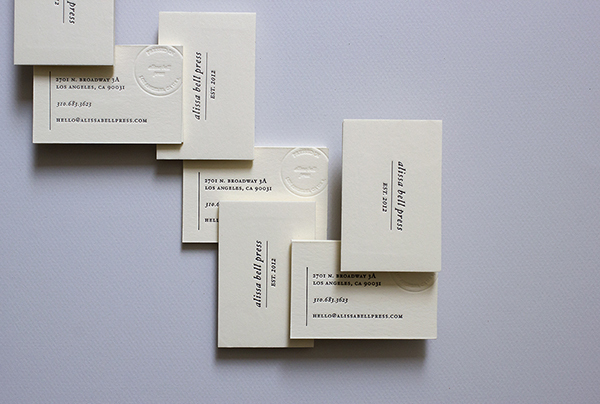 Before I got into letterpress, I worked in public accounting for 4 years. I’m naturally a classic, type A person, but also love exercising my creativity. Creating my business gave me a perfect balance of both. LOVE AT FIRST SIGHT I first took a class in San Francisco at The Center for the Book. That’s where I got hooked. LIVE IN CALIFORNIA Currently we are the Artist in Residence at the Kit and Ace Pasadena store. It’s definitely a unique opportunity to be doing our thing inside the shop while people browse the clothing and wander the neighborhood. My favorite thing about the space is that, compared to any of our previous locations, it’s the shiniest. Also, for this season, we are able to give people access to watch letterpress live, which is rare. THE DESIGNER & THE PRINTER We do a little bit of both. I’m lucky to have a nice balance in our work that allows us to both flex our creative muscles, as well as execute another business or designer’s vision. I have been running the business for four years, three of which were full time. THE CREATIVE PROCESS Giving my brain clear space to create is most important. So, cleaning my home or studio are musts, and sometimes getting out of my normal environment, either a coffee shop, or lately, RVCC in Downtown LA. The actual inception of an idea comes differently for me each time. Sometimes I have to just put a lot of things down on a page and see what I can pull from. Other times I’ll have a quick flash of an idea, in the shower or wherever, which are the easiest to materialize. PRINTING FEATS I’m proud of my team. I’m proud that we’re working in Kit and Ace. 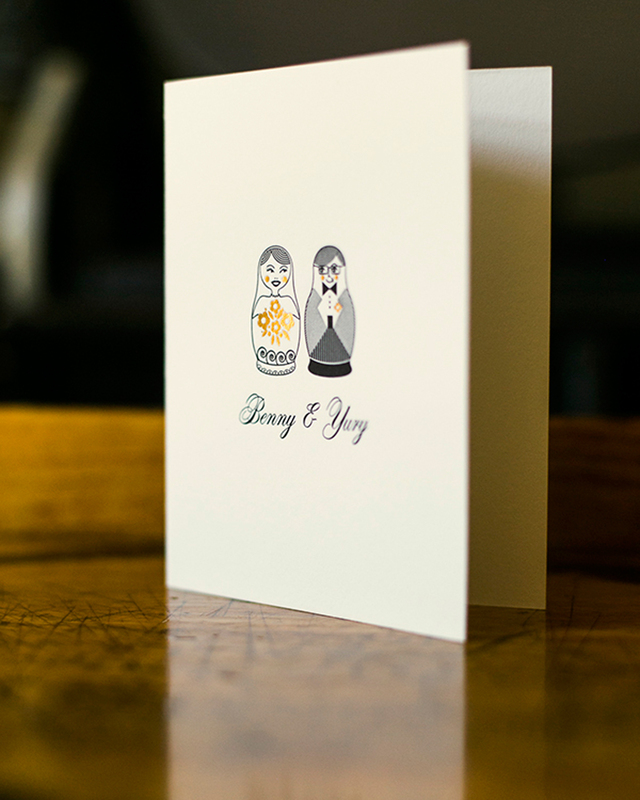 I’m also excited we have grown, and are able to make creating our own collections of greeting cards a priority. 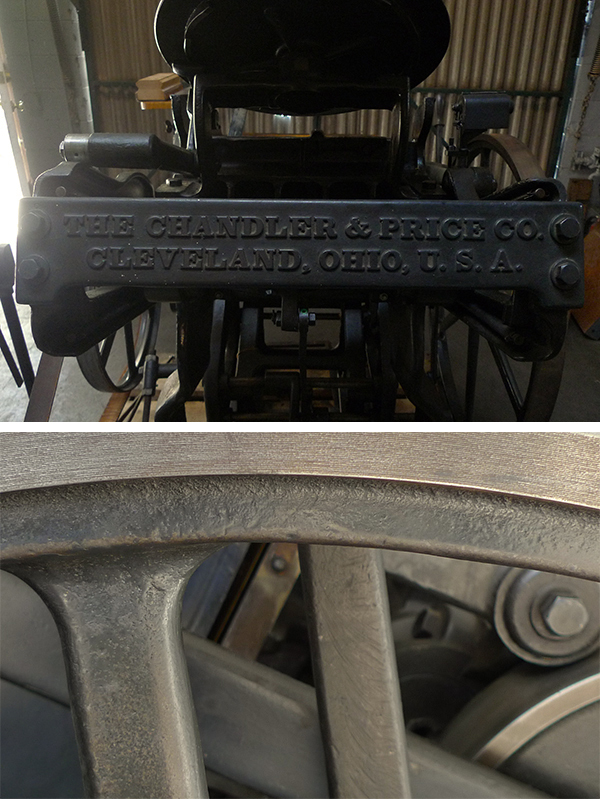 PRESS HISTORY A Chandler and Price, 12” x 18” was my first and my last. BOXCAR’S ROLE Boxcar has been an amazing resource since the beginning. Even when I didn’t know what I was doing, Rebecca sat with me on the phone and talked me through what kind of base I would need and what kind of plates to order. Since then, I’ve used them for all of my plates. They always catch my errors, show me grace in the ordering process, and present a great product. I love them. 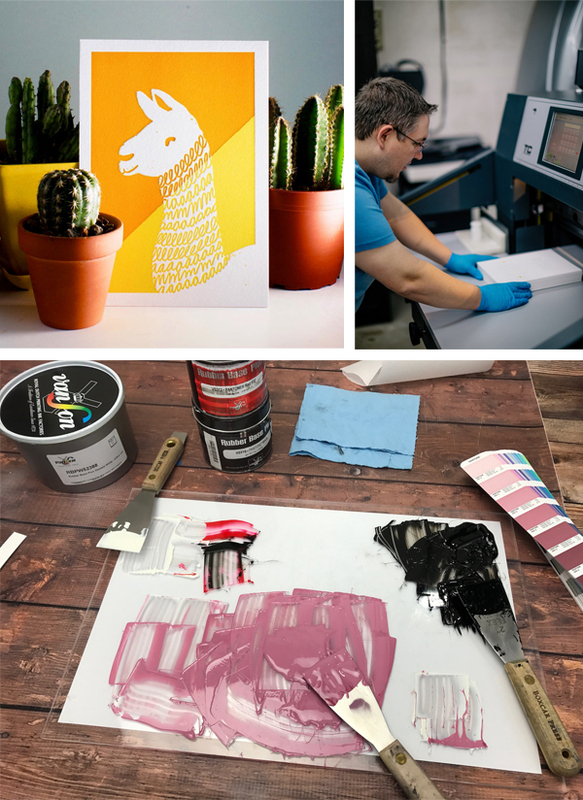 SHOP TIPS This may not be new to many people, but this year we got to experiment with ombré ink on a platen press. We were able to tie back the part of the press that rotates the ink disc so the color was applied unevenly, allowing us to create both color ombré and a black and white gradient. WHAT’S NEXT For the next year, we’re working on finding a new location after our residency at Kit and Ace, focusing on continuing to teach Hanna how to print, and having a good time. 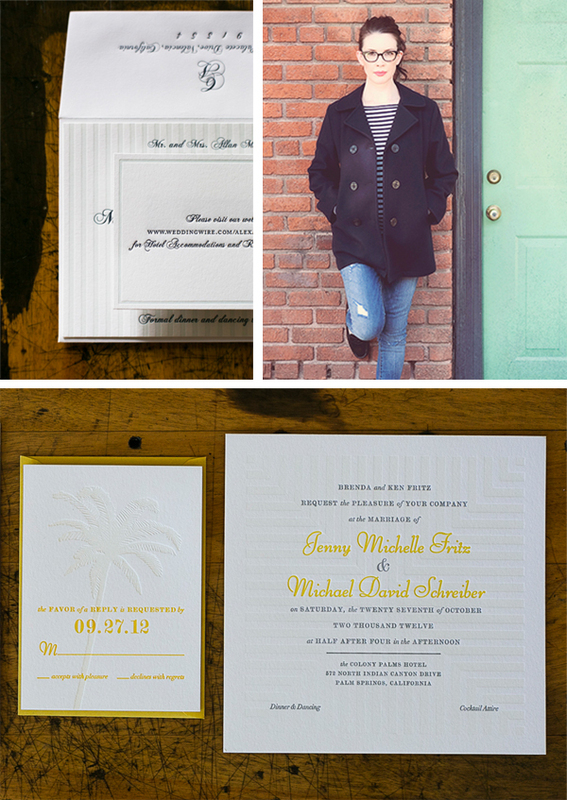 Last year we launched our ready to order stationery collection, and in 2016 we hope to build our collection of ready to order wedding invitations on our site. A huge appreciative round of applause (and thanks!) 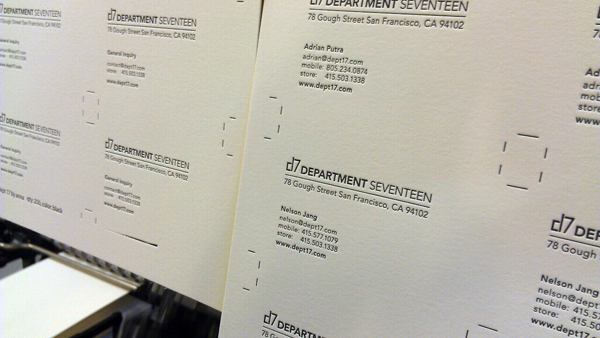 out to Alissa for letting us get a glimpse of her wonderful printing world out in sunny California! Patricia Barron of One At a Time Press lives life to the fullest daily in her garage-turned-studio in the picturesque Sierra Madre mountain range of sunny California. 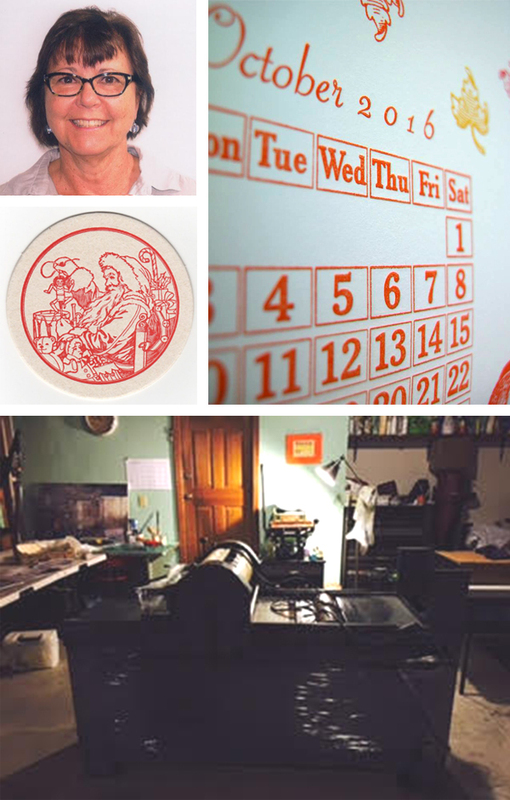 Her ambitions to pursue her passions in letterpress have been fostered by exceptional printing mentors and the thrill of the creative challenge. 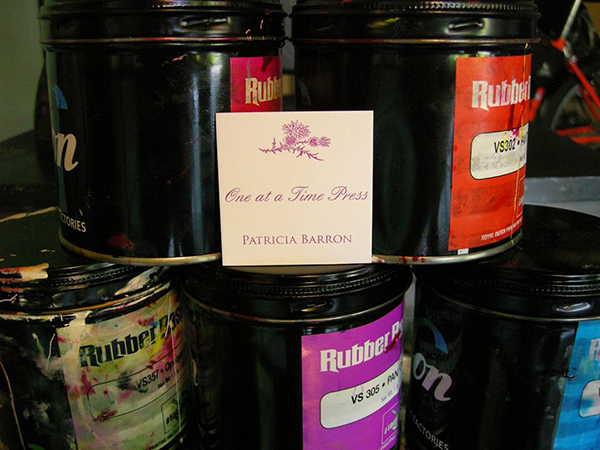 We caught up with Patricia to see how her part-time printing adventure is treating her. THE JOY OF CREATING I am a born and raised, Southern California lady through and through. I live in Sierra Madre with my husband, Jeff. I went to college at UC Santa Barbara in 1969 and then transferred as a junior to UC Berkeley, where I graduated with a B.A. in psychology. I began my business on my 60th birthday in 2011, after having raised two boys to men as a stay at home mom. I was lucky to be able to take art classes at Pasadena City College, the local junior college. These included drawing, life drawing, painting, ceramics, sculpture and photography. I love the challenge and joy of creating, and am inspired by nature, people, places, music, books and life. Sierra Madre has beautiful views, mountains, and green spaces so there is much to inspire. LETTERPRESS LOVE AT FIRST SIGHT My first exposure to letterpress began at the Armory Center for the Arts in Pasadena. I immediately became enthralled with the process, from imagining what to print to making it a finished product. At first, I though I’d have trouble thinking of enough ideas of what to do, but I’m way over that! 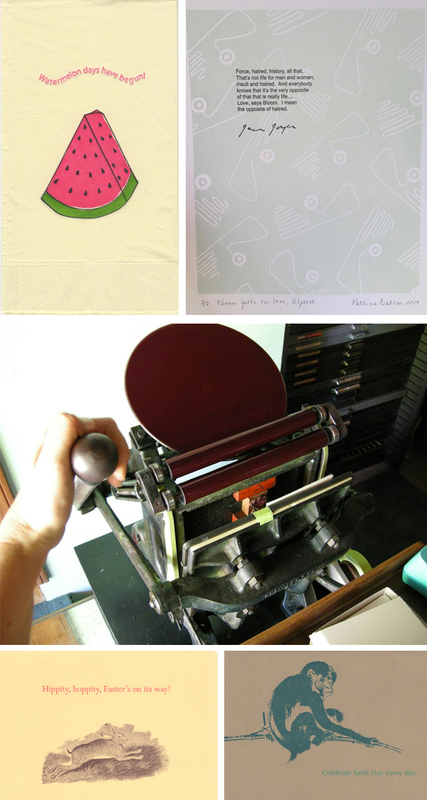 MEET THE FAMILY My first press was a 1950’s Chandler & Price Pilot Tabletop Press that I bought in 2011. 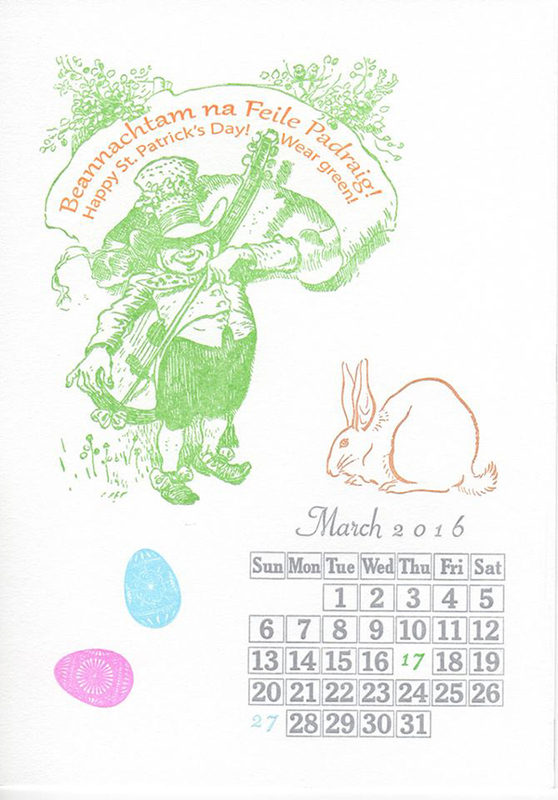 In 2015, I was very lucky to buy a Vandercook SP-20 press that I had shipped out from Chicago. SERENDIPITY IN SIERRA MADRE My studio is in our garage. We have two garage doors, a double and a single. The one car garage is my studio. My favorite thing about my studio is that I can open the garage door and get lots of fresh air, light and a view of the mountains. While it’s cold in winter, I can use a space heater. In the summer, I am up very early or very late, printing in the cooler part of the day. I am very proud of having my own business and the quality of my work. PRINTING MENTORS Denise El-Hoss is my teacher and mentor, and I have been taking classes from her at the Armory for almost five years. Through her encouragement, I began my business. She is totally awesome as a teacher and friend. In fact, I bought my first press from her. 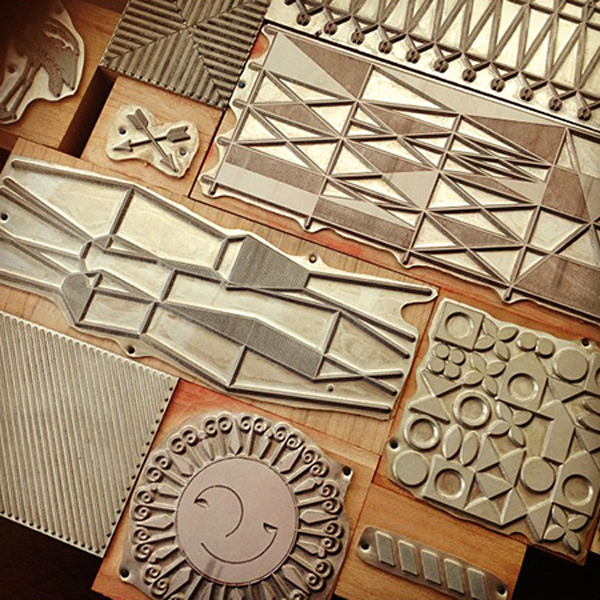 THE CREATIVE PROCESS I design my work using old blocks, my linoleum carvings, designs I create on Adobe Illustrator and have made into blocks, as well as images I find that are copyright free. 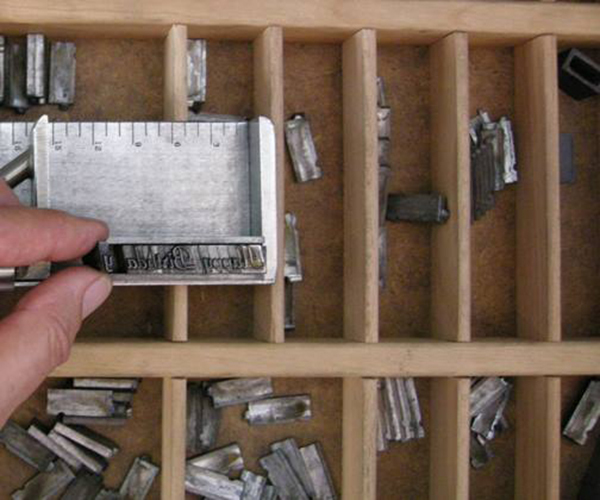 I also use wood type and metal type that I either have or can use at the Armory. Lastly, I use Illustrator to create words or sentences that I need to be made into a block. PART TIME PRINTER, FULL TIME FUN I do not print full time, but do print as much as I can. My goal is to do more custom work and larger scale prints. I love to experiment to create original work. My process is often a combination of planning and serendipity. I often begin without knowing exactly what will come next. I love the challenge of solving for the answer! I sometimes begin with an image I like and then bring it to life with words. Or I’ll find a poem or saying that I like and come up with a background. PRINTING FEATS My art prints, Fauve Look I & II, make me proud, having hand-carved three different linoleum blocks (one for each color) and succeeding in printing them to my satisfaction. I love the way they turned out. 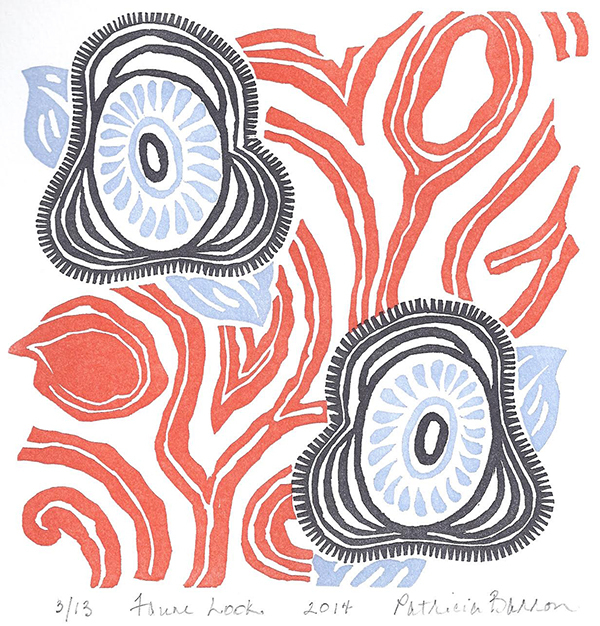 The image is based on a textile design from France, 1925. 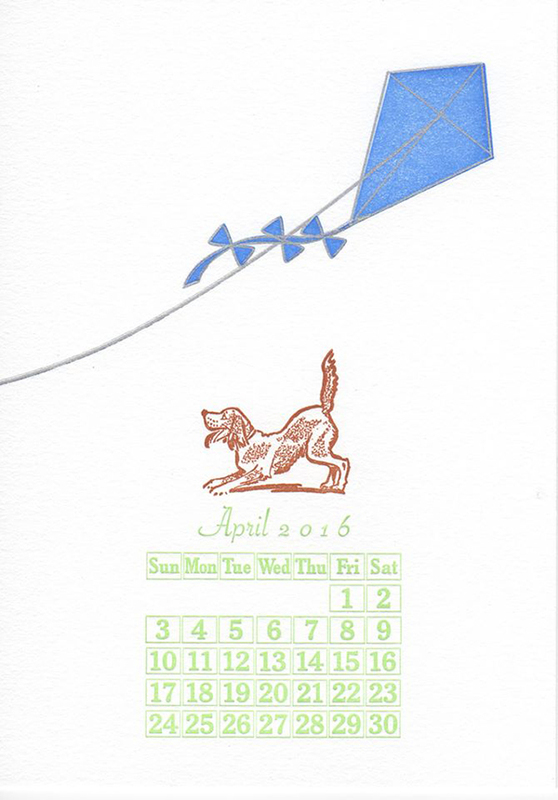 I also printed a 2016 letterpress calendar which turned out to be worth all the work involved! I was very happy with the result. SHOP TIPS Use AlignMate! Their product helps in making sure your text is straight and centered. WHAT’S NEXT I have been accepted into various shows, including the Patchwork show in Long Beach in June and a show in Claremont. I also have my work in Lulu Mae’s in Pasadena and at Creative Arts Group in Sierra Madre. 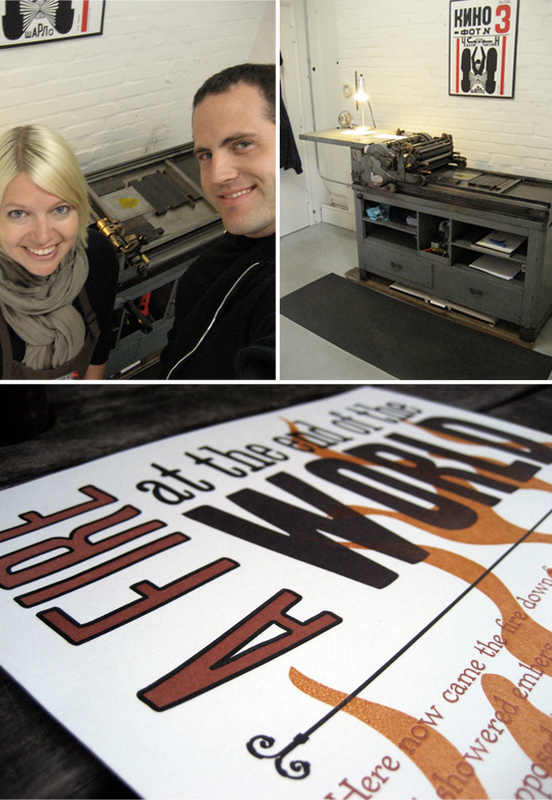 A huge round of thanks to Patricia for letting us take a sneak peek at her creative world at One At a Time Press! Dee Cutrona of Maude Press is sustained daily by the artistic flavor of her community and the people she considers mentors. 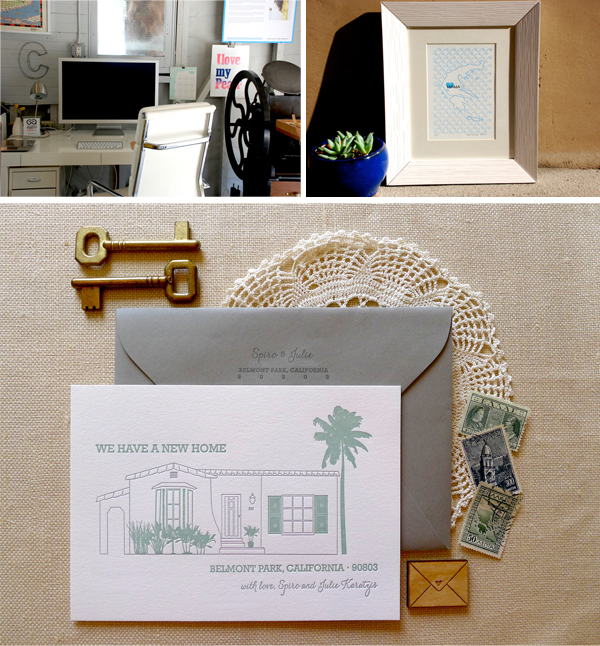 She recently welcomed us in for a peek at her studio and shared how she got her start in letterpress — as well as the path she’s set herself on for the future. BY ANY OTHER NAME Well, I suppose the first thing you should know about me is that my birth name is Christen and I can thank my sister for calling me “Christie Dee” the first time that she saw me. This, of course was shortened to Dee and here I am! NECESSITY DEMANDS ACTION I first got involved in letterpress when I met a gal, Mable, in a design workshop. 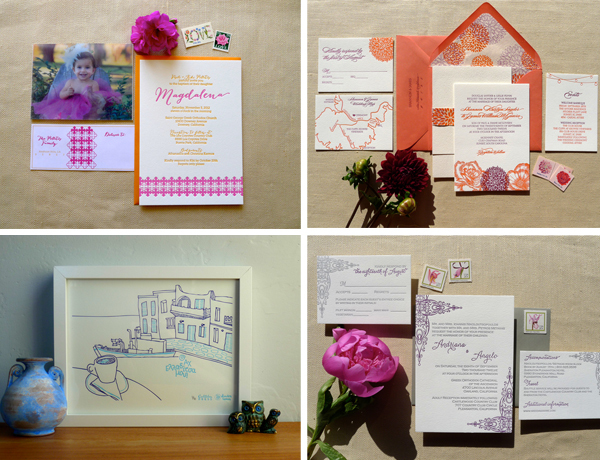 She was operating a letterpress studio and we thought, hey, let’s start a greeting card line! And so we did, and we called it Dee&Lala. 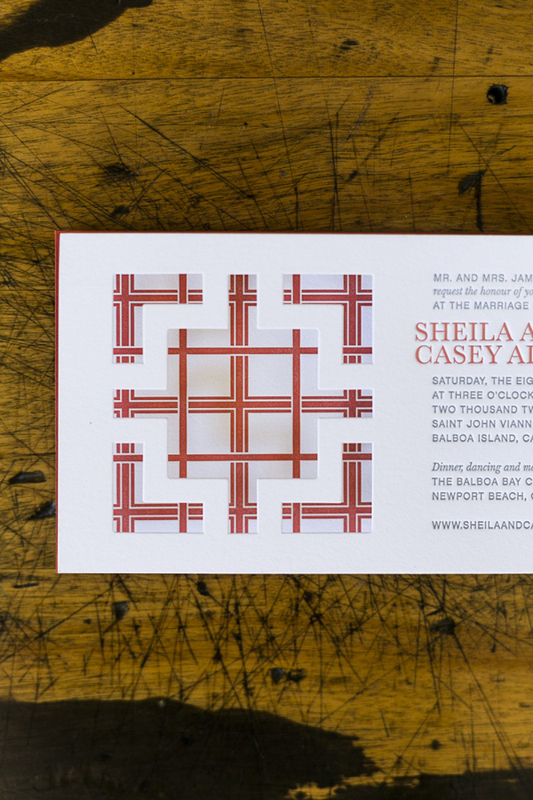 In a funny way, I learned letterpress out of necessity–we were selling cards all across the U.S. and abroad and printing all day to keep up! LOCATION, LOCATION, LOCATION I print in a studio right in my neighborhood of South Pasadena. What’s so great about the space is that I share it with a cake company, so the smell of baking cakes fills the air and it’s a team of girls, so we have this nice camaraderie. My favorite thing about my studio is that it’s nestled among traditional craftsman homes and tree lined streets, so my commute, whether by bike or car, is idyllic. WALKABLE AND WONDERFUL SOUTH PASADENA is a hidden gem. It’s like this magical little pocket of Arts and Crafts architecture, cafes, family friendly neighborhoods, lots of art, music, festivals, parrots — yes parrots — and small independent shops…including Annika Buxman’s De Milo Design Studio & Letterpress [check out the profile we did on Annika’s studio a while back]. It’s an 8 minute metro ride away from downtown Los Angeles, so, in my opinion, it’s the best of both worlds. We actually have a small museum up my street — Meridian Iron Works — wouldn’t that be a great place to print! SAGE ADVICE I considered Mable as my first printing mentor, and since that I’ve learned so much more. 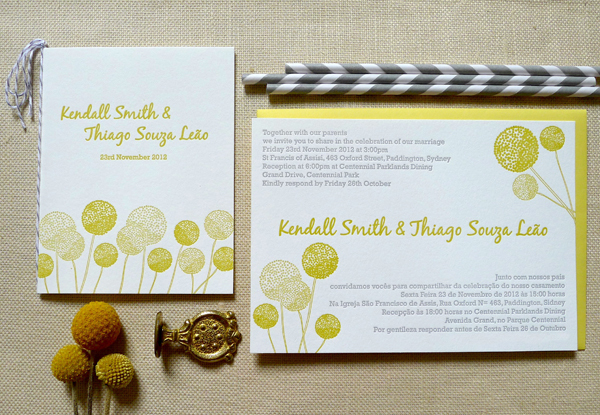 I do have a friend in town, who has a beautiful, very traditional, letterpress studio. 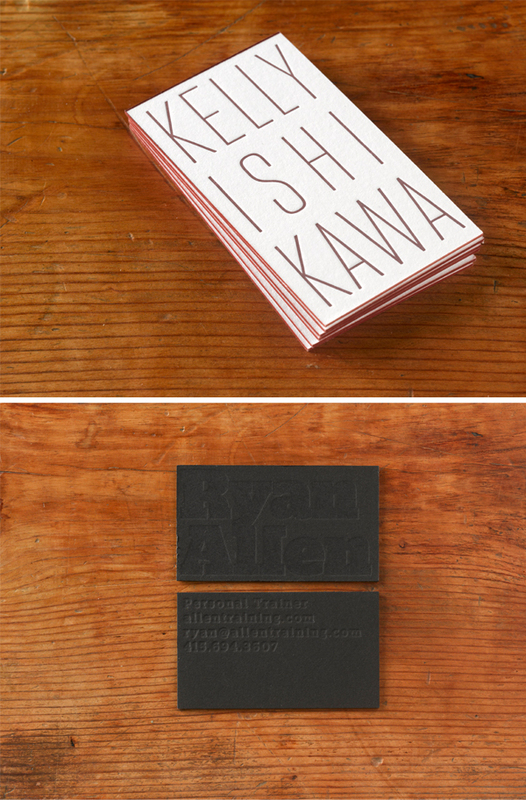 I assist him with his printing as much as I can and consider him not just a letterpress mentor, but a life mentor. I also had design and style mentors in my Gramie and Grandad. 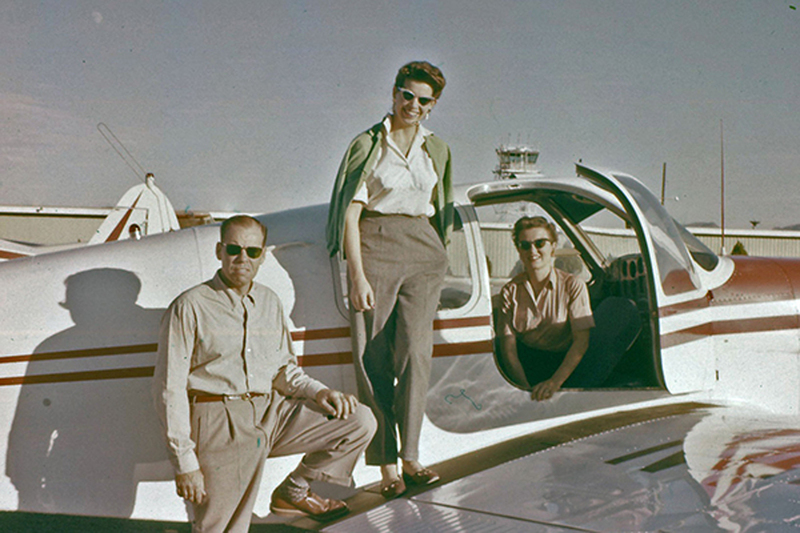 They lived life to the fullest, did it with style and I am influenced by that philosophy daily. INSPIRATION + THE CREATIVE FLOW I do not print full time. My days and weeks are equally balanced between designing and printing. 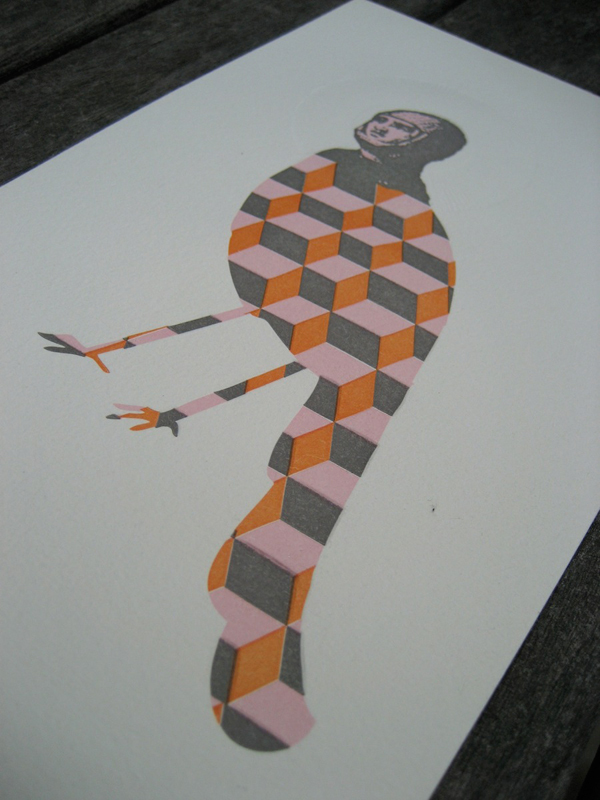 I am planning to print more pieces for retail, so I’m anticipating more time at the press. As much as I appreciate the authenticity of working with type, I’m just so wired to be able to tweak and manipulate words and images digitally, so my process is more modern. I’m a digital artwork to photopolymer girl. 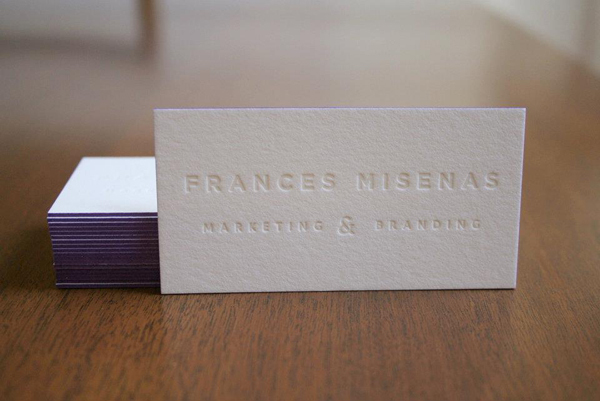 When I first started Maude Press, I was working with magnesium dies, but I quickly switched back to photopolymer for the consistency and because the process isn’t toxic. I enjoy working with fun wedding couples like Sheila and Casey. They wanted chic and modern and since they wanted a map, we decided to play with layers, a pattern and die cutting to add dimension. So much opportunity to be creative! I am equally, if not more, proud of launching Maude Press. It has been a wonderful experience so far and now that I’m about 4 years in, I’m ready to take it to the next level. I love the custom side of what I do, so it’s truly been a pleasure. THE FIRST LADY AND NAMESAKE I wish I could list off a tally of presses, but to date, my only press is Maude, my 10 x 15 New Style Chandler & Price. She’s a work horse, but I can’t say I wouldn’t mind a cylinder from time to time..maybe someday. Maude is named after a movie that is a personal favorite of mine — Harold and Maude. MUTUAL RESPECT FOSTERS GOOD RELATIONSHIPS Not only is Boxcar super informative and amazing, you provide my plates and plant trees when I purchase enough! 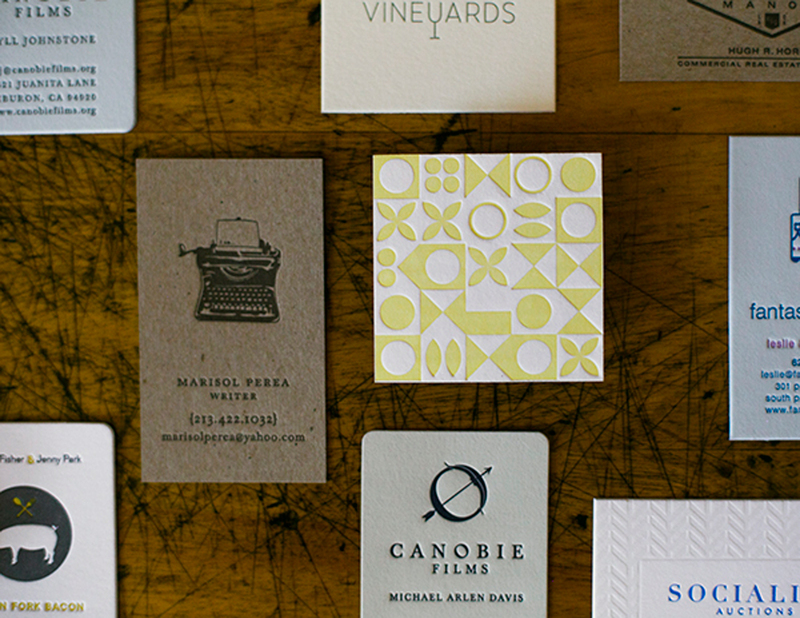 What I like most, though, is your true love for letterpress and the letterpress community. SHARING FROM EXPERIENCE Acetate is my friend. Not only is acetate great for packing, I actually tape it down to my platen to register my artwork. I tape the acetate to the platen, ink the form and print on the acetate and then I register the paper to the print on the acetate. It saves so much time and helps with those hairpin registration jobs. I’m a fan of Van Son Holland Ink (rubber or oil), but if you want a good rich black ink, my friend introduced me to ‘Sable Black SO 1 lb.” from Graphic Supply, Inc. — it is THE best black I’ve printed so far. No need to add a little warm red to this black– it’s gorgeous au naturale. LEAPING OFF THE PAGES IN 2015 This is the year that I’m finally ready to produce more products for retail (mainly for my own site and a few local shops). Nothing major, no reps or stationery shows, just exclusive MP products to share with the world. I have pages of ideas that I just have to bring to life–it will feel like old times. Oh! 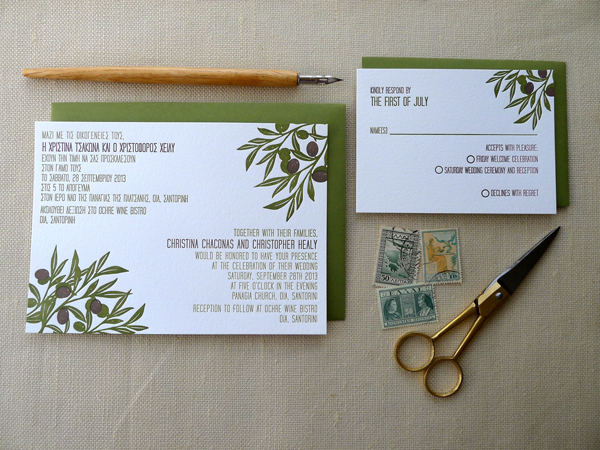 And this year, hopefully, I will finally actually print my own stationery and if I’m really on a roll…holiday cards!!! Just shy of three years ago, James Tucker created The Aesthetic Union, a San Francisco press shop that is built to fill the gap between designers & production — and his career has only mushroomed since. With the blossoming business, Tucker has found that he’ll now have more time to enjoy sailing in addition to teaching & printing the finer details of letterpress. LETTERPRESS LINKS The Aesthetic Union was created about 3 years ago as a need to fill a gap I saw between designers and production. 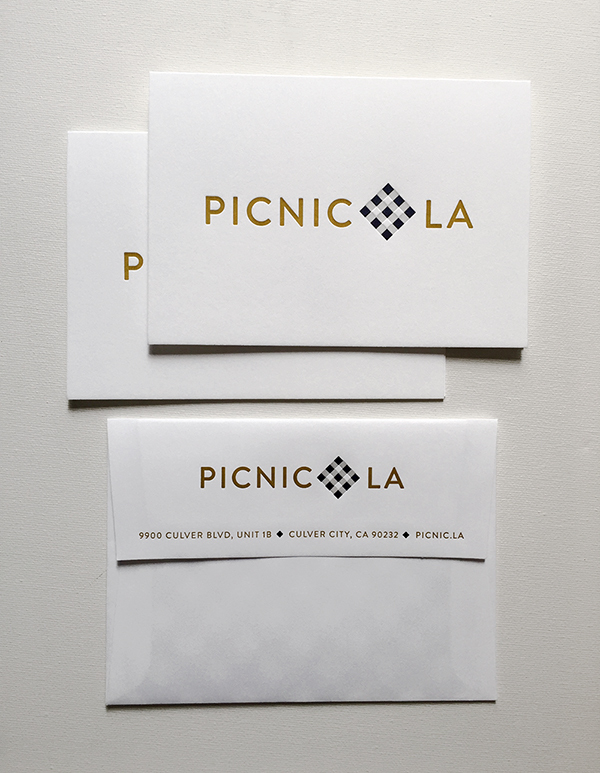 Usually designers would be designing for web or digitally printing and wanted to explore letterpress and more traditional ways of printing. Their designs weren’t translating well with traditional methods and the final product showed a lack thereof. 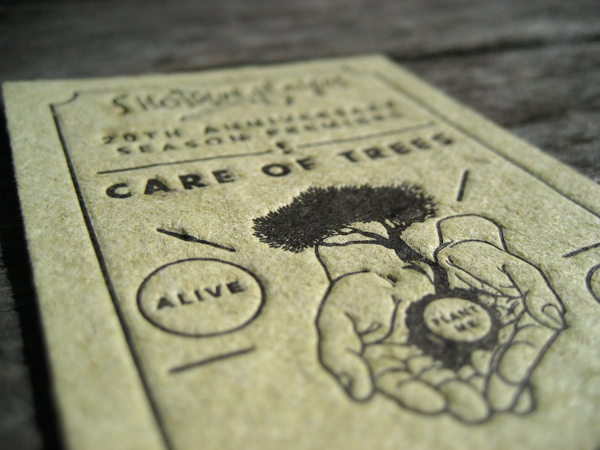 Through a direct collaboration with a team and making sure designers know how the method of printing is done and what the limitations are of letterpress and how to better to push the boundaries, I immediately saw an improvement in the finished products. HOOKED BY HATCH My first exposure to letterpress was back in college. I was studying printmaking at Maryland Institute College of Art when I saw some work by Jim Sheridan at Hatch Show Print. I was immediately hooked and found myself there that summer as an intern to study with him and Brad Vetter. I continued to work as a pressman after I graduated and moved to San Francisco. I was first introduced to Heidelberg Windmills and Boxcar plates at a five year stint working as the lead pressman for Hello Lucky and fell in love with those machines and the simplicity of the process of platemaking. SAN FRAN FUN I’m currently looking for a new space in San Francisco to house my shop, as for now I’m carrying the venerable torch of a tramp printer. I print for many places in San Francisco and in exchange I use their shops as my own. I also teach a number of classes at SF Center for the Book, which just moved into a new space and obtained some great equipment. FULL TIME FUN Up until recently I was printing full time, but since I started my own business I have had more time to pursue my love of sailing and working on tall ships. So when I’m not in the pressroom, I’m out on the San Francisco Bay chartering large schooners. PRESS HISTORY My first press was a 10×15 Old Style C&P. I pulled it out of a woman’s basement in upstate NJ in pieces and rebuilt it. I’m currently selling it to pay for my new investment, a late Heidelberg Windmill with lock ups and a rare Asbern proof press. BOXCAR’S ROLE Boxcar has made registration extremely efficient with the help of the gridded base and transparent photopolymer plates. This decreases makeready and saves time and money. 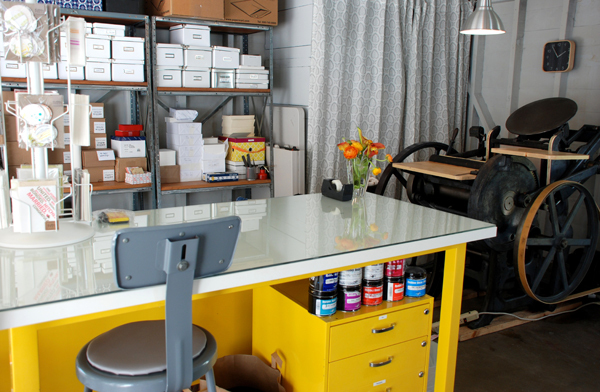 SHOP TIPS If I could pass along some advice to my fellow printers I want to convey that working smart, clean and efficiently will save time and your sanity. WHAT’S NEXT The rest of 2013 will be eventful for The Aesthetic Union. We are on the search for the perfect space and once we have it, we’d like to ramp up production and tackle some in house projects I’ve had on the plate for a while. We will also be teaching more at SF Center for the Book, The Arm in Brooklyn, at Skill Exchange and will be giving some more lectures. Big round of thanks to James Tucker at The Aesthetic Union for letting us catch up with him! 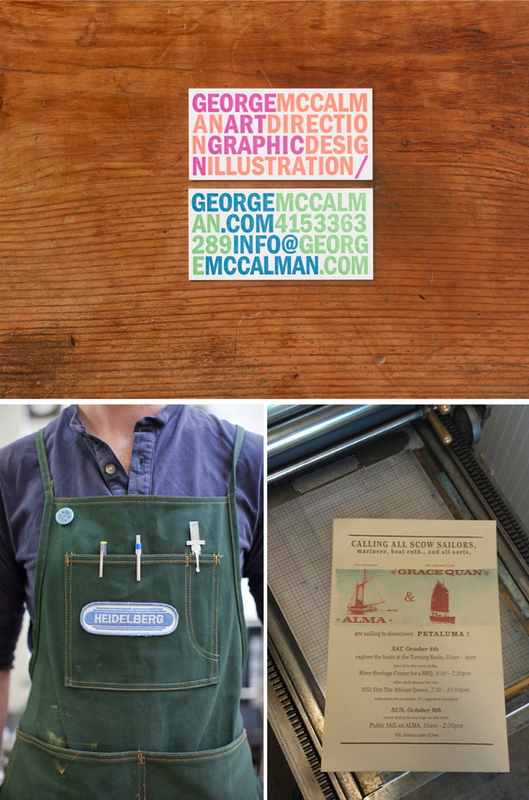 The life of Oakland California’s phenom printing duo has changed fast. From solid beginnings under the guidance of Bay Area letterpress great Betsy Davids to teaching letterpress, the pair behind Volta Press still reminisce about the long nights that honed their trade. During a break between print runs, Boxcar caught up with Laureen Mahler and John Peck for a quick chat. PRINTERS FROM THE GOLDEN COAST Volta Press is Laureen Mahler and John Peck, a husband-and-wife printer team based in Oakland, California. LATE NIGHT LETTERPRESS LOVE We started printing while Laureen was in graduate school at CCAC, where we spent countless late nights on the print studio’s Vandercooks. Initially, we wanted to create our own literary journal, complete with letterpressed covers and hand-sewn binding. With invaluable guidance from Betsy Davids (a well-known and much-loved influence on the Bay Area book arts community), we launched Beeswax Magazine in 2005. 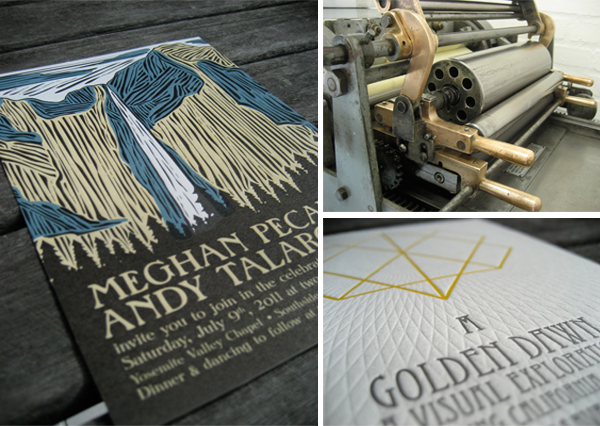 Now on its eighth issue, Beeswax is still letterpressed & hand-sewn — and truly a labor of love! The journal quickly transitioned into letterpressing for our friends, and we printed everything from poetry chapbooks and LP covers to gallery postcards and party invitations. THE CREATIVE PROCESS We design and print, although we also work with other designers. Our design process is very much about experimenting with our press and its capabilities; we love to play with texture, size, color, and contrast in our designs, and we’ve learned a lot about the press and our own aesthetic over the years. FULL TIME FUN A tough question! We did print full time for several years, but to make ends meet that meant taking every job that came our way. We found ourselves losing sight of why we’d become printers in the first place, so we started teaching, took a hiatus from custom work, and focused on building a portfolio that truly represented who we are. Now we teach to supplement our printing income and are happy to say that we’ve found a nice balance of custom work and self-made projects. PRESS HISTORY Volta Press officially started in 2006 in Betsy Davids’ backyard: she has a meticulously restored SP15 tucked away in an old carriage house. It was a wonderful press, but the building had very little insulation: in the (albeit California) winters, we wrapped up in jackets and scarves to print jobs and had a backup supply of fingerless gloves. 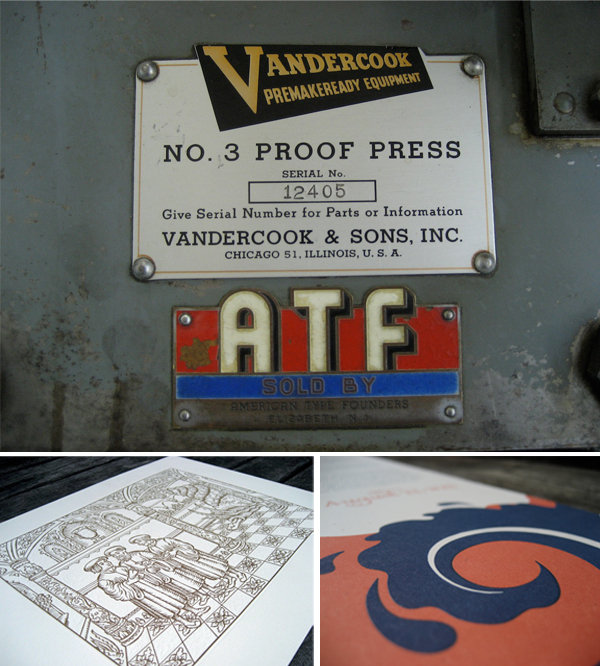 Since then, we’ve printed on a range of Vandercooks and C&Ps, and ultimately decided to purchase a Vandercook 3. 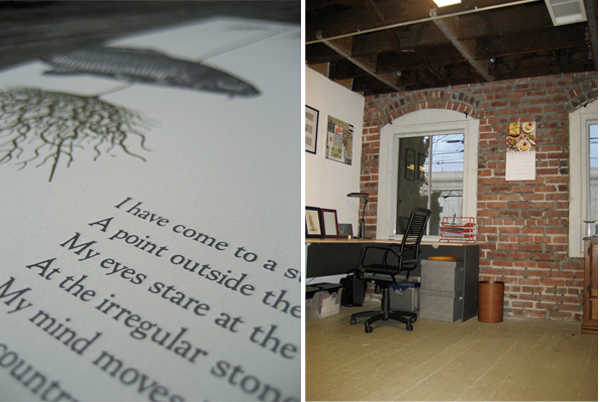 In 2009, we moved to our current studio near Jack London Square, where we now occupy two floors in an old pickle factory overlooking the Port of Oakland. PRINTING FEATS We’re still pretty proud of purchasing our first Vandercook. It’s also really gratifying to be part of Oakland’s thriving small business community, from establishing relationships with other independent businesses to printing everything from coffee bean packaging to bookstore broadsides. 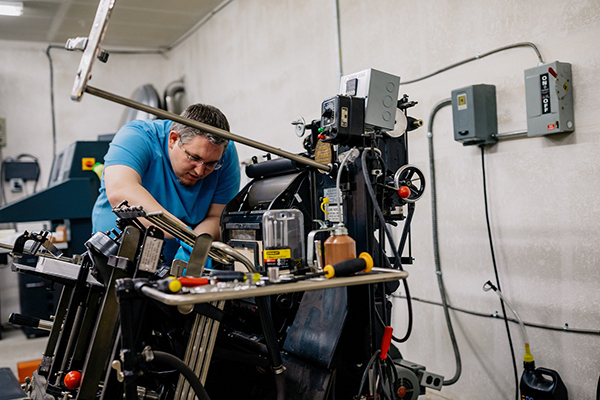 Printing what we love and making the press work on our own terms are big accomplishments, though we’re definitely still learning on a daily basis. BOXCAR’S ROLE We’ve been ordering plates from Boxcar Press since 2006, and we still remember opening the package that held our first Boxcar base. 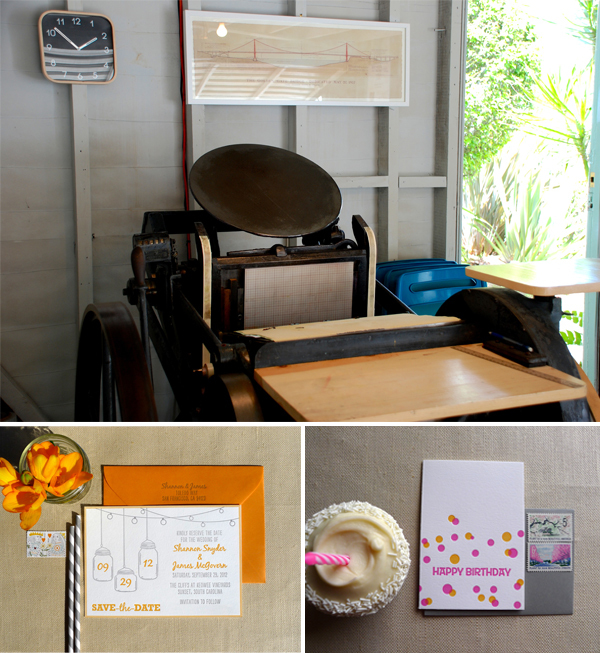 It was like letterpress Christmas, and we haven’t looked back since. SHOP TIPS Always have masking tape handy, invest in a complete set of Allen wrenches, love the craft and its history, learn to be a grease monkey, make friends, and remember that making beautiful things isn’t always a beautiful process. 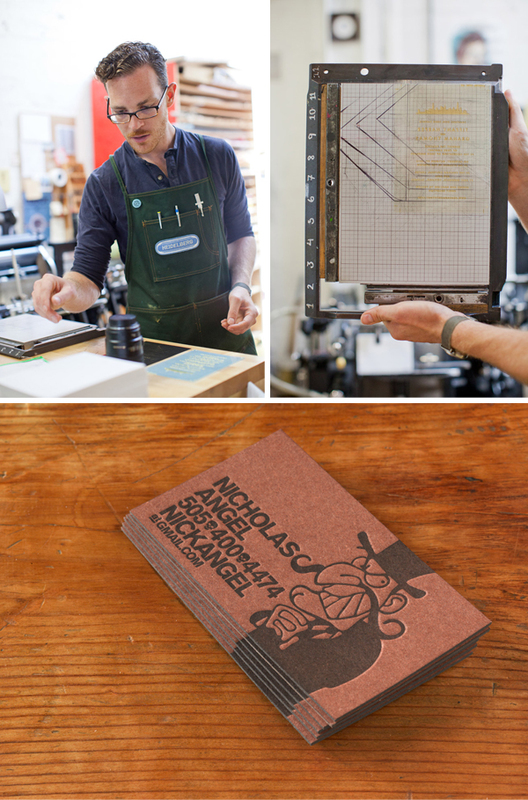 WHAT’S NEXT We’ll be teaching letterpress at the San Francisco Art Institute again in the fall, and we’re also working on expanding our in-studio workshops. We’d love to acquire a second press, and we’ve got a crazy idea to build a mobile Vandercook vehicle (though that’s maybe more of a 2014 project!). We’re also working on a literary poster series and a newspaper project, and we hope to launch both of those this summer. 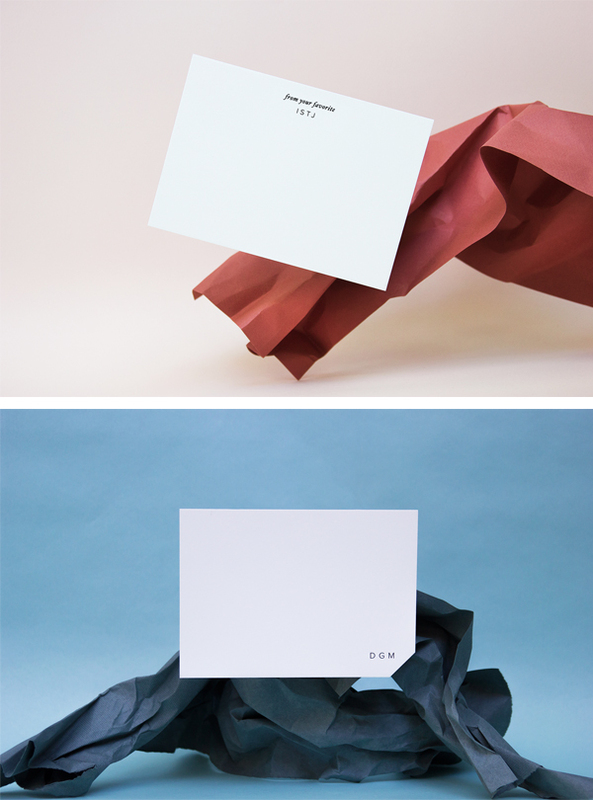 Big rounds of applause for Laureen and John for letting us get the full story on Volta Press! 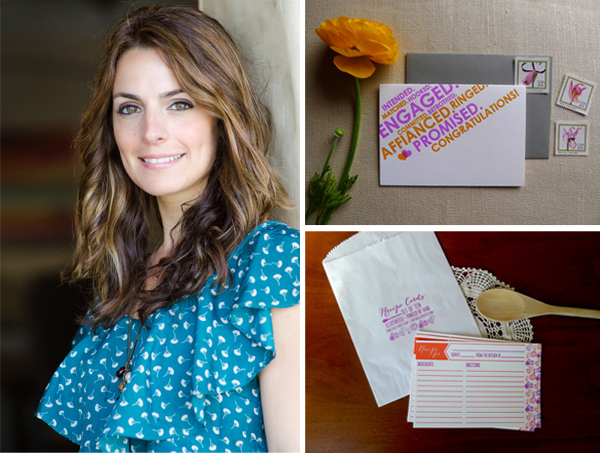 There’s nothing small about Cartoules Press (Greek for “little cards”) or the printing powerhouse, Julie Karatzis, the fiery printer who masterfully prints, throws epic parties, and discusses the future of letterpress. 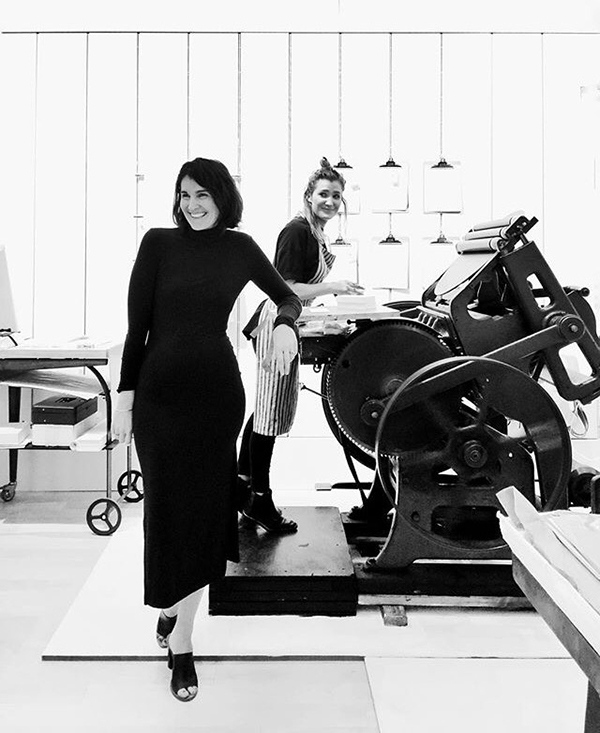 A jewel of the Californian printing community, Julie has been creating beautiful works of art and has been given nods of appreciation (most recently being recognized by the Greek American Foundation as a member of their “Forty Under 40”). 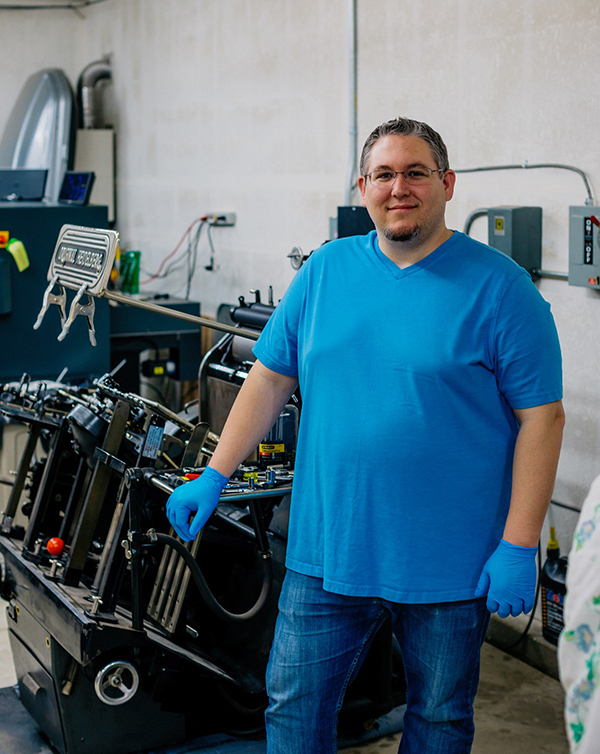 We sat down to find out just what’s next for the Californian printer. Far Left photograph courtesy of Vangie Ogg Photography. All other photography courtesy of Cartoules Press. DESIGNER/PRINTER/DANCER I’ve been a long time paper fanatic ever since I could pick up a pair of scissors and make things with my hands. 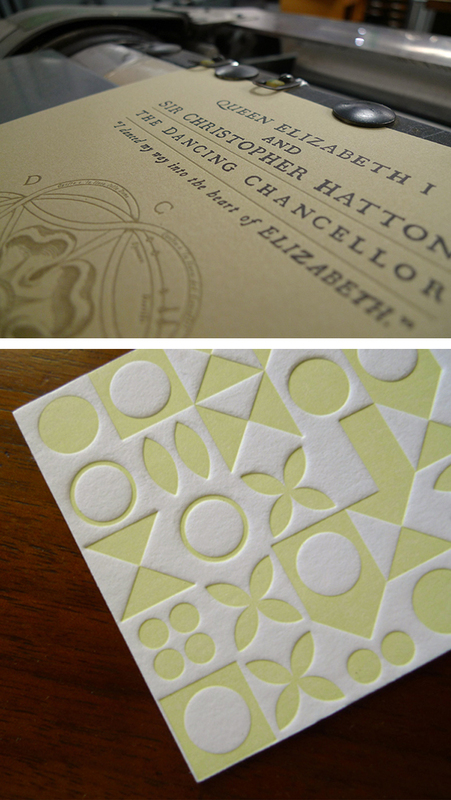 I always appreciated the art of quality made stationery and the craft of letterpress. I’m also a Kefalonitisa. Chronic wanderlust. Design junkie. Bon vivant. Amateur photographer. Graphic designer. Runner. Master instagrammer. Typophile. Flea market frequenter. Beach bum. Epic party thrower. Greek dancer. Crafter. A sane OCD. 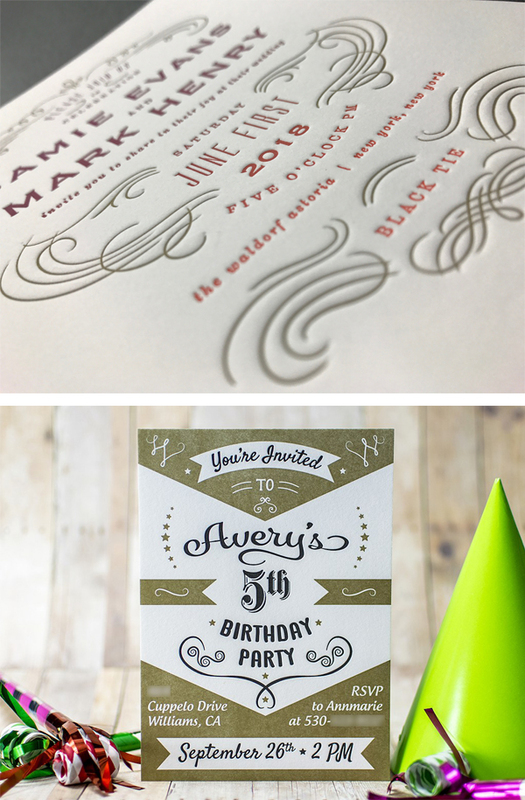 INSPIRED BY INVITATIONS When my husband and I got engaged I knew immediately that I wanted letterpress invitations. 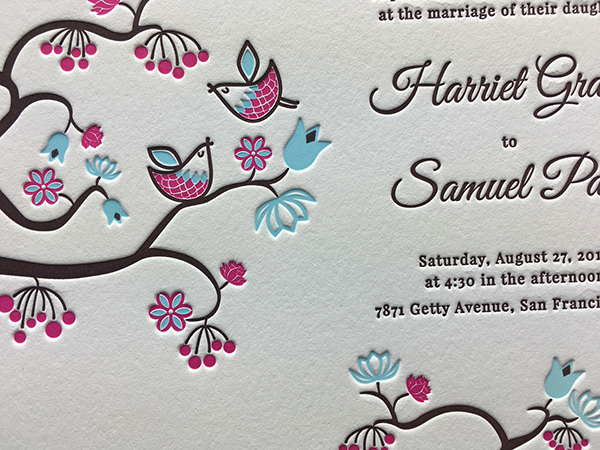 For fun, I decided to take a few classes at the International Printing Museum in Carson, and when I discussed letterpress wedding invitations with my instructor, she suggested that I print my own with her help. 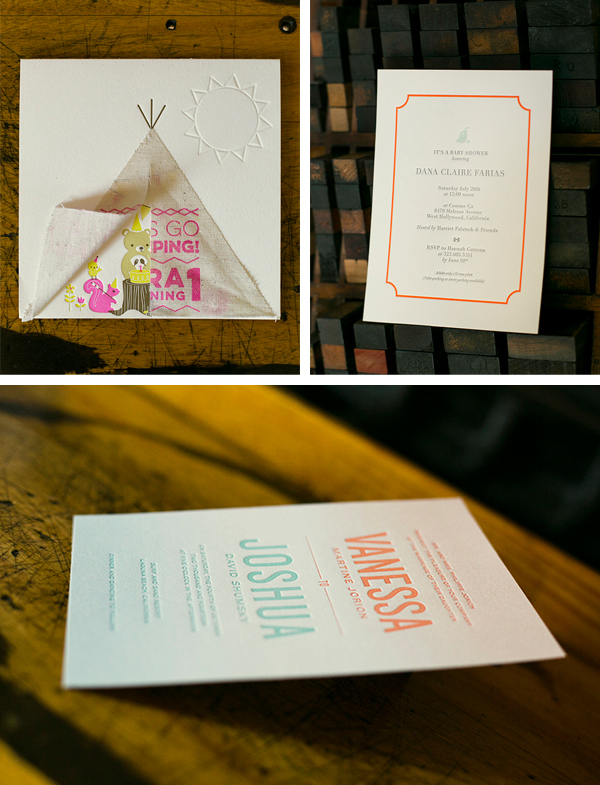 My husband and I rented press time in her studio, and together, we printed them – I was hooked. 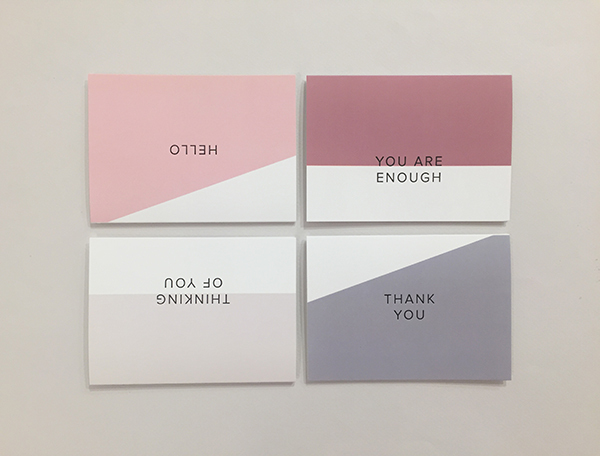 Shortly after, I purchased a small table top Kelsey, and started creating cards for myself and for friends. And thus – Cartoules Press was born. 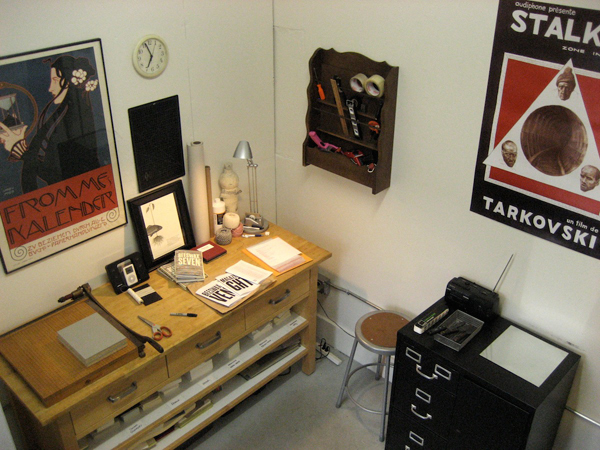 CREATIVE IN CALI My shop is in my home studio detached garage in Long Beach, California. We’re actually planning a major home remodel in the next few months so things will drastically change — for the better. But currently my situation suits me and my printing needs. THE CREATIVE PROCESS When I’m working on a custom invitation or piece, I love to get inside my client’s head and sort out their thoughts. For example with my brides, I love to get a sense of their wedding, but also about their personality — what kind of clothes they like to wear, where they shop — just to get a sense of their likes and dislikes. Sometimes I print submitted work, but I prefer to print my own designs. Right now I’m printing part time, and it’s been this way since the inception of Cartoules Press. While I’m printing I’m almost always drinking a homemade latte and blasting music. I work best listening to Spanish or Greek rock music with a little dance music thrown in. PRINTING FEATS Last year I was recognized by the Greek American Foundation as a member of their “Forty Under 40” for my work with Cartoules Press and the unique offering I provide to not only Greeks in the US and abroad, but to the design community as a whole. I’ve also received some great press placements in Marie Claire Greece, for example, and have had some super clients like Mercedes-Benz. BOXCAR’S ROLE You guys are fantastic! Last minute? Under the minimum? No problem. You guys always take care of me and my plate making needs, and with a smile on your face (at least it sounds that way over the phone). SHOP TIPS Don’t be afraid to experiment with techniques or styles of printing. 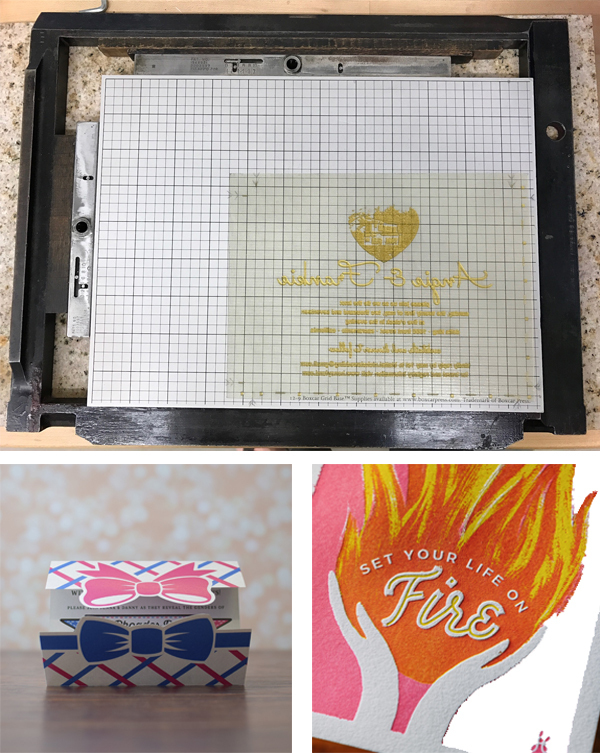 There’s definitely a few different ways to accomplish the end result with letterpress, it’s just important to find out which methods, techniques, and tools work best for you. WHAT’S NEXT Remodeling the studio space is top priority right now, and something that I’m very excited about. The presses have moved with us twice now, so I’m really looking forward to giving them a beautiful permanent home full of light and plenty of new storage. 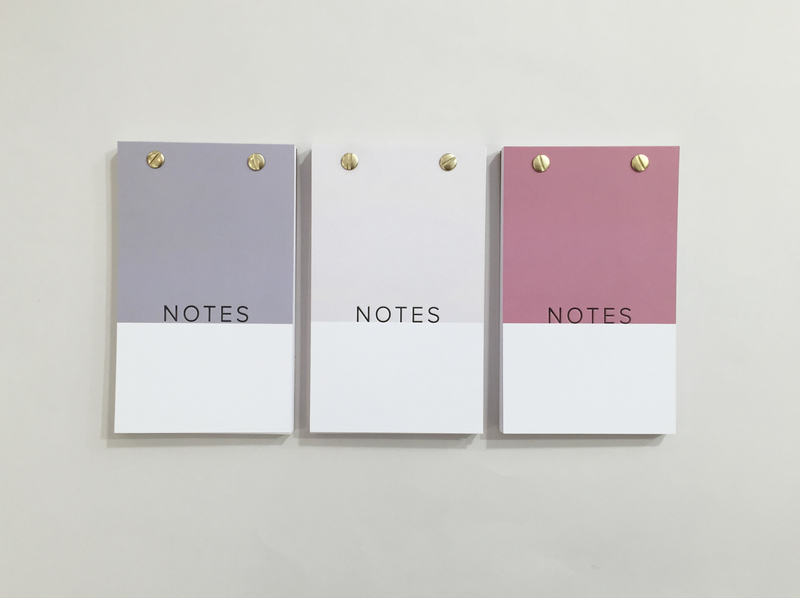 Big heaping thanks out to Julie Karatzis of Cartoules Press for sharing her story!